Asphalt Pavers & Repair in Novi MI - Copeland Paving Inc.
A proud, family-owned Michigan company for three generations. 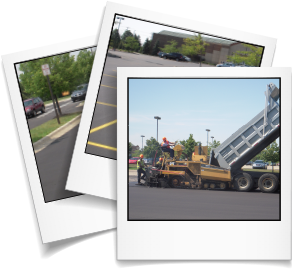 We are one of Michigan's oldest and most respected providers of full service asphalt paving and repair services for a reason! 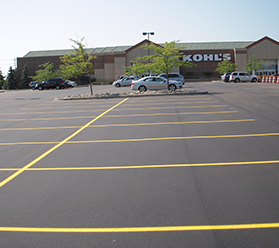 With over 50 years of experience providing quality asphalt paving and concrete services, we guarantee durable, long-lasting results in every job we perform - large or small. It is, and always has been, our practice to provide our customers with exceptional workmanship and service to meet project needs, while still working within their budget. We are fully bonded and insured for your protection. Centrally located in Novi, we service the entire Metro Detroit area. Call us today to schedule a free estimate! Looking for High Quality Crushed Concrete? Our sister company offers competitive prices on recycled crushed concrete delivered to your job site! Browse our gallery to see examples of recently completed projects. The contents of this webpage are Copyright © 2019 Copeland Paving. All Rights Reserved.